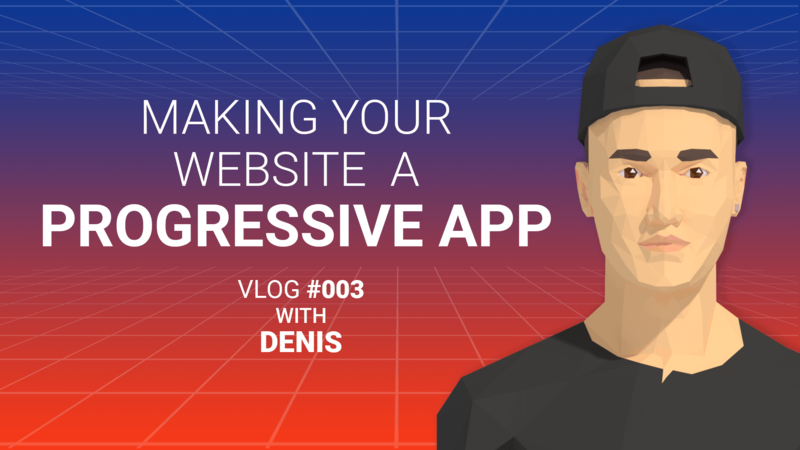 00:02 Hi, my name is Denis and I'm a developer here at Electric Enjin, and today I want to speak to you guys about progressive web apps and why your website should be one. 00:10 Progressive web apps combines the benefits of a native application, as well as a sharability of a URL link. There are three major principles to getting your website in a progressive state and we're just going to quickly go over them today. 00:21 The first principle is the interactiveness, fast and responsive behavior of a native application to bring that over to a website as well. So anything that you can do in terms of adding animations to page transitions, form submissions, drop downs, button clicks, anything like that to really give your website a more premium feel. 00:44 The second principle is the idea of loading offline first, so using a technology called Service Workers, developers are able to control how a website is loaded, so that can be something as simple as a no internet custom page, or serving files that are already stored in a browser cache, so that a user with no internet can navigate and still shop around pages that they've already been to while the rest of the site trickles in. This greatly improves the user experience, as well as forcing the website to be served over a secure connection, something that should be done regardless in this day and age. 01:18 And then finally for a truly native app-like feel, is to tap into the native app features of the phone, so things like the camera, push notifications, gyroscope, maybe even the finger print scanner, those really make your website more memorable and enjoyable to use. 01:38 Finally creating your website as a progressive web app is the logical next step in terms of enhancing the website, it can really provide a seamless browsing experience that improves conversion rates and creates some happy loyal customers. 01:51 That's it from me, if you have any questions or comments, please comment below and like and share if you found this enjoyable. Thank you!